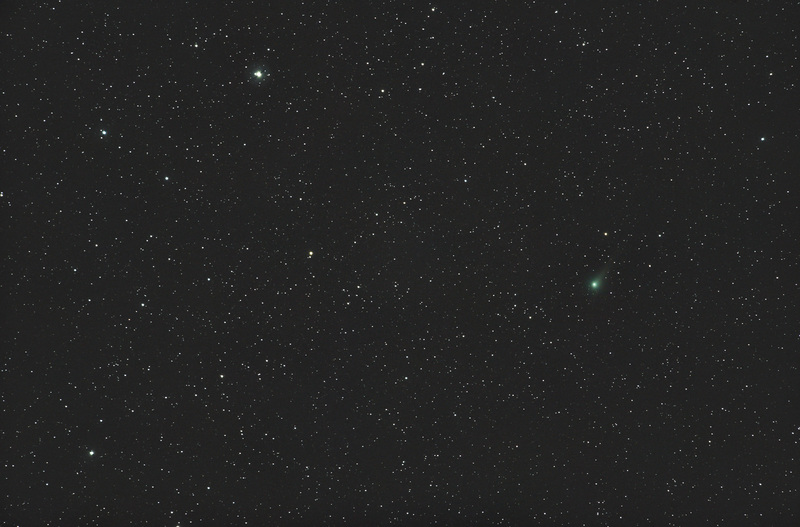 Comet C/2015 V2 (Johnson), 10x30s, ISO 3200, F4, 300mm, Nikon D750, Vixen Polarie. 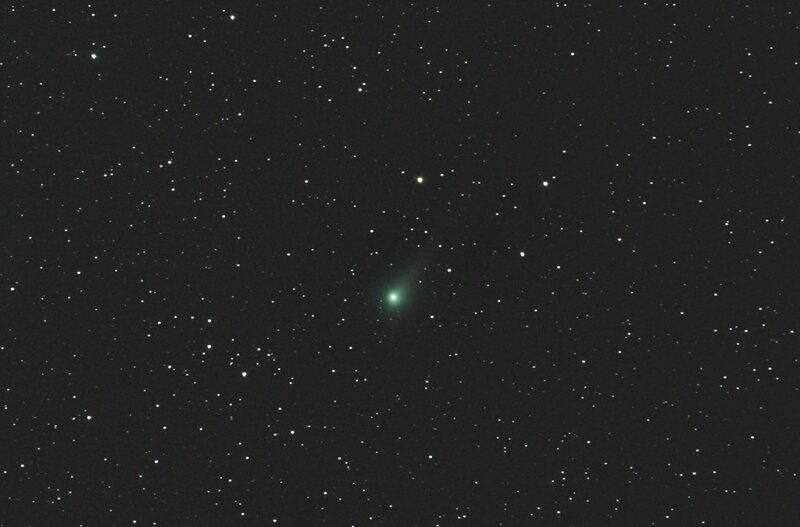 These days Comet Johnson is very conveniently placed in the evening sky for northern observers. The image above is a crop of the one below. This entry was posted in comets.